Michigan Attorney General Dana Nessel sent a letter to Michigan State University Chairperson Dianne Byrum regarding the ongoing Larry Nassar investigation. EAST LANSING, Mich. — Michigan Attorney General Dana Nessel sent a letter to Michigan State University Chairperson Dianne Byrum regarding the ongoing Larry Nassar investigation. Nessel states at the end of the letter, dated March 19, that the investigation has not concluded, even after a year with thousands of hours of work and hundreds of hours of interviews. Nessel states that she and other officials investigating the Nassar case at MSU have made several attempts to reach out to Engler for an interview, saying that he is a critical witness in the ongoing investigations. "The interview was scheduled for March 28th in Washington D.C. based on our understanding that Mr. Engler would not be back in Michigan any time soon. 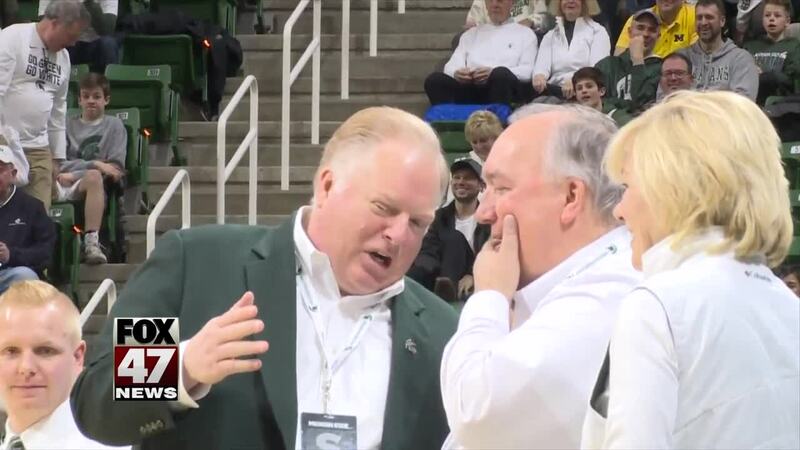 You can imagine my dismay then when I learned from media reports that Mr. Engler had attended several recent Michigan State basketball games, including the game in East Lansing on March 9th," Nessel said in her letter. Engler had been hired as the interim-president to help the university deal with the fallout from Nassar. His employment contract with the university required that he provide information regarding information, even after his employment ended, according to the letter. "Thus, it appears that the University has ample legal authority to not only facilitate our interview with Mr. Engler but to demand that he participate in it," Nessel said in her letter. "Accordingly, I am requesting that the University act to ensure that Mr. Engler appear in Lansing, Michigan within the next two weeks to be interviewed by investigators from my office." The attorney general’s office and Engler’s attorney, Seth Waxman, are in a war of words over his willingness to speak to investigators about campus changes after the Larry Nasser scandal. Waxman says Engler has “at all times” been willing to meet. He says the state this week suddenly canceled a March 28 meeting in Washington. In a letter Tuesday, Waxman says he’s advising Engler not to speak if Assistant Attorney General Christina Grossi remains part of the investigation. He accuses her of launching “unfounded attacks” on Engler and says her “biases” are unethical. You can read the letter by clicking on the document to the right of this story.